APPSC Panchayat Secretary Admit Card 2019– Andhra Pradesh Public Service Commission (APPSC) has released the APPSC Panchayat Secretary Admit Card 2019 on April 15, 2019. The admit card is available at psc.ap.gov.in for a screening test to be conducted on April 21, 2019. For fetching the admit card candidates need to enter the user id and password. Only the candidates who have successfully registered themselves can download the AP Panchayat Secretary Hall Ticket 2019. Get here full information regarding APPSC Panchayat Secretary Admit Card 2019. Latest: The APPSC Panchayat Secretary Admit Card 2019 is available. Scroll down to access the link. Admit Card is the Key to enter in the examination hall. Failure to produce the admit card in the exam leads to debarment from the exam. The only mode to download the admit card is online. Apart from that, no other mode is available. For more information regarding APPSC Panchayat Secretary Admit Card 2019 check the schedule given below. Admit Card: Click here to download the APPSC Panchayat Secretary Admit Card 2019. Click here to download the performa of declaration. At first screening test is conducted so for that first admit card for screening test has been released at the official website. Candidates can follow the steps given below for downloading the APPSC Panchayat Secretary Admit Card 2019. How To Download APPSC Panchayat Secretary Admit Card 2019? Thereafter, the login page appears. Now click on the button which says ‘Existing User’. 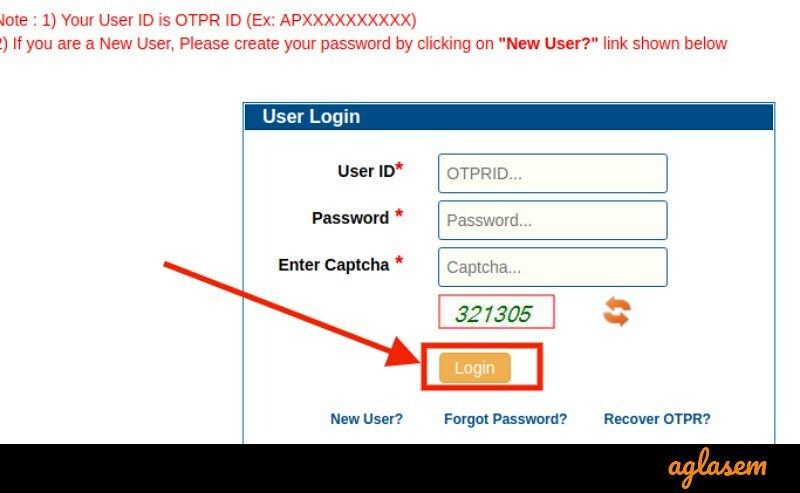 Thereafter a page appears here the candidates have to enter the user id, password, and captcha. Click at the download option for downloading the admit card. After downloading the APPSC Panchayat Secretary Hall Ticket 2019. candidates should carefully read all the mentioned details on it. If the admit card is containing any false details then immediately contact the releasing authority of the admit card. From below candidates can check details mentioned on the APPSC Panchayat Secretary Hall Ticket 2019. How To Deal Discrepancy on AP Panchayat Secretary Hall Ticket 2019? In case the admit card of Panchayat Secretary, contains any discrepancy in name, date of birth, community. Then the candidates have to bring this matter into the notice of Commission’s officials/Chief Superintendent in the examination center, for the correction in their nominal rolls. What if Photograph Is Missing / Blur on APPSC Panchayat Secretary Hall Ticket 2019? There are cases when the photograph on the admit card is missing or blur. With such admit card the candidates can get an entry in the exam hall. Then follow the below instruction before moving for the exam hall. After downloading the AP Panchayat Secretary Hall Ticket, paste a recent photograph on it. The admit card must be attested by the Gazetted Officer. The same photograph should be handed over to the Chief Superintendent for affixing the same on the Nominal Rolls. The candidates have to mark the answers on the Optica Mark Reader (OMR) sheet, hence the candidates are restricted for the use of any pen. Only specific pens are allowed for marking the answer on the sheet. If any sheet found with any of the above-mentioned activity, then the candidature of the candidate will be canceled. From below candidates can check the exam pattern of APPSC Panchayat Secretary 2019 of Screening Test. Exam Pattern helps the candidates to know about question types, question number, exam timing, subject name, etc. For doing the preparation of the examination candidates must know about the examination syllabus. By knowing the syllabus only candidates will be able to identify that which subject or topic is to be prepared first. For viewing the syllabus of the screening test and main examination (paper 1 and 2) click at the button given below. From below candidates can check the document to be carried along with the APPSC Panchayat Secretary Hall Ticket 2019. on the day of the examination. If the candidates will not carry the document mentioned below those will be not allowed to appear for the examination. Some items are strictly prohibited at the exam center. Check the list below. The Commission will conduct the APPSC Panchayat Secretary Exam in the following districts. The candidates who will qualify the screening test those will be shortlisted for appearing in the mains examination. The candidates who will be shortlisted for mains for those only APPSC Panchayat Secretary Hall Ticket 2019 for the main exam will be issued. To download the admit card for main the credentails like user id and password need to produce. Do not apply any chemical, henna or ink on your thumb. Keep your thumb dry and sewat free at the time of verfication. From below candidates can check the Exam Pattern of APPSC Panchayat Secretary 2019 of Mains Examination. Negative Marking: 1/3rd marks will be deducted for each incorrect answer. Marking Scheme: 01 marks will be awarded for the correct answer.